It is often assumed that elbow doctors are orthopedic surgeons who, in addition to five years of orthopedic surgery training, have completed one to two years of hand and wrist or shoulder surgery fellowship training. Those surgeons who have completed plastic surgery or general surgery residency can complete hand surgery fellowship training and hand surgery subspecialty boards to practice hand and wrist surgery. They are not trained to take care of elbow injuries. Depending on your comfort level and needs, you may want to inquire about your elbow doctor's residency training. At a minimum, you should check with your state medical board to make sure the elbow doctor's license is valid and whether he or she has faced any disciplinary action. You will want to choose an elbow doctor who is board certified, which means that in addition to orthopedic board certification, the elbow doctor has passed a rigorous certifying examination in the subspecialty of hand surgery or has completed shoulder surgery fellowship. There is no board certification in the subspecialty of shoulder surgery. The field of elbow surgery involves non-surgical and surgical treatment of orthopedic elbow conditions and injuries. Orthopedic elbow surgery specialists are either fellowship trained hand and wrist surgeons (hand surgeons for short) or fellowship trained shoulder surgeons. 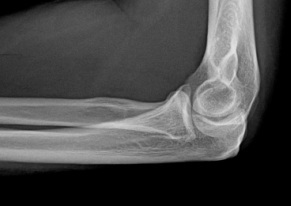 Just like hand and wrist surgery, elbow surgery involves interdisciplinary approach to elbow care as the treatment success depends on the elbow surgeon's technical skill and knowledge, post-surgical elbow therapy, occupational therapy, and the treatment and management of an underlying medical issue, which may have been the cause for a particular elbow condition. For example, I have successfully treated patients with severe elbow arthritis by total elbow joint replacement. However, in addition to me performing the total elbow joint replacement, the treatment success was a direct result of patient compliance and physical therapy. Some of the most common elbow surgery conditions seen in my office are Cubital Tunnel Syndrome, Distal Biceps Tendon Rupture, Elbow Arthritis, Elbow Fracture, Elbow Pain, Golfer's Elbow, Tennis Elbow, and Olecranon Bursitis.